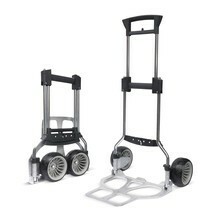 Are you looking for a quick and simple handcart that is also easy to transport? 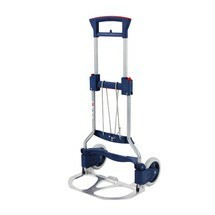 This folding, aluminium handcart is ready for use in a flash, providing you with a safe and effortless transport aid. Are you looking for a means of transporting goods quickly and easily? The RuXXac® Business folding handcart is ready to use within seconds and is suitable as a stable means of transport for goods weighing up to 125 kg. Need help transporting heavy bags on your travels, field work or at trade fairs? 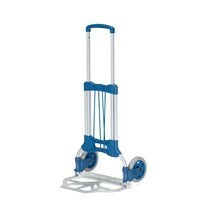 The RuXXAC® Cross folding handcart will carry luggage and can be stored anywhere to save space.